looks like you are going to be producing some very nice bits of kit. I wish there were some goodies available for the naturally aspirated 4.2 liter...that needs to be woken up as well!!! Pete, you're in luck sir. This XKR upgrade cat, fits the 4.2 XK as well. I know the Cat on the 2008 is the same for XK and XKR. The headers that I'm building should mount up to the 4.2 as well. Instead of a 4-1 collector , I would suggest the Tri-Y design as the vacuum will really help the N/A engine exhale. I'm going to build a tri-y after I complete the current design. thank you for the response and good news. I would have bought an xkr but my car actually "picked me"
I would like to do all I am able in order to unlock some ponies! I will keep an eye out for this thread. The N/A units need love too. Both great cars. Thanks for the encouragement. PS. 1983 Ferrari 512 BBi!!! You lucky dog. Derek, what are you using for the flange connection to the manifold? That's the one thing that stopped me from finishing my own custom high flows, after trying several different ones and not being confident with the fitment, I ended up modifying the stock cats for now. I want an OEM fitment and also something that wouldn't take a ton of modifying to make work. I'd greatly appreciate your input or even buy some parts if you have them available. My current intake replaces the factory lower piping segments to eliminate the resonators while also improving flow transitions. 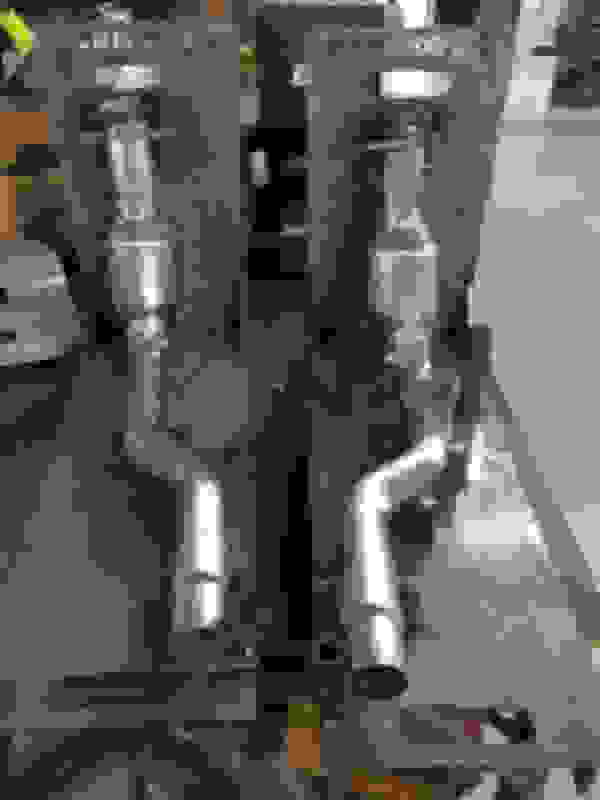 I'm working on a full carbon fiber smooth transition from throttle to air-boxes and air-horn. 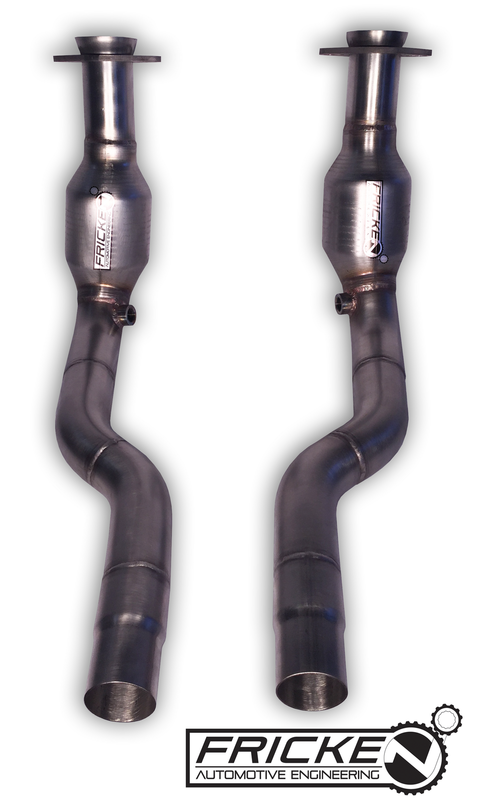 I will have these for the 4.2L and 5.0L soon. 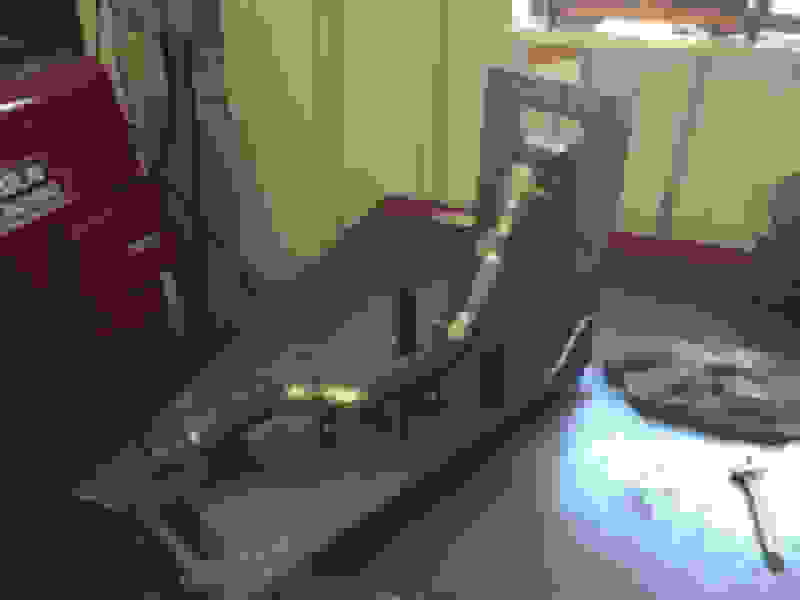 I'm in the process of finalizing the design then I'll create the molds for carbon fiber process. I'm interested in this as well. Please keep me updated on availability if you plan to produce an upgraded intake for 2007 XKR. The following users liked this post: Timmah! Find all posts by Timmah! I cut a 3/8" stainless flange and used 18ga 304 stainless 2.5" flared to 2.875" roughly and the fitment is nice. I'll have them test fitted and welded up shortly. Tacked everything together. All will be tig welded and optional coated. All stainless construction. I'll do some weight comparisons as I noticed they were quite lighter. I will have 2 Cat options: one with Race spec 200-cell and one Race spec 300-cell that EPA certified in 49-states and no cell light. I'll bet you're saving the before and after comparison numbers for a 'big splash' promotion when they are finalized, but out of curiosity, how many 'cells' in the OEM cats? I need to cut open the factory to verify, but I believe the front portion is a 600 cell and rear portion of the catalyst is 400 cell. Yes this is designed to slip directly into the factory pipe. Its an oddball side, I had to swedge it down to the ideal diameter of 2.100". Roughly 53.5mm OD. I couldn't find any off the shelf items to fit. a 2.125" is too tight and 2" too small. One of the local members here will be mounting them in for some comparative data. Keep in mind, the main gain here will be the acoustic pleasure to your ears. There will be a gain in the lower torque region but we are still restricted more-so by the manifold. 5-10whp and roughly same with torque is what we are expecting on a completely stock setup. Pully+Tune setups may see a little more gain. I'm testing fitting them up asap then I'll finalize the welding. The XK , XKR setups will be ready to start production by the end of the week. I'm ready to build the F-type V6 and V8 Setups just need to locate tooling for the connections. Bolting them onto a members car tomorrow for test fitment. Once verified they will be nicely tig welded and ready for my seal of approval. 4.2 XK and XKR setups will be ready for sale shortly. F-types V6/V8 are right behind these. ...I believe the front portion is a 600 cell and rear portion of the catalyst is 400 cell. Yes that's my understanding as well. 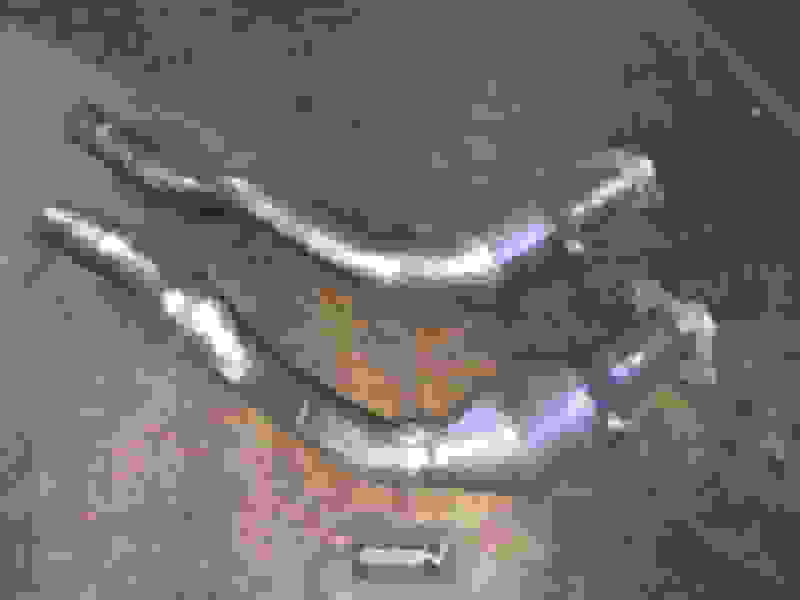 ...There will be a gain in the lower torque region but we are still restricted more-so by the manifold. 5-10whp and roughly same with torque is what we are expecting on a completely stock setup. 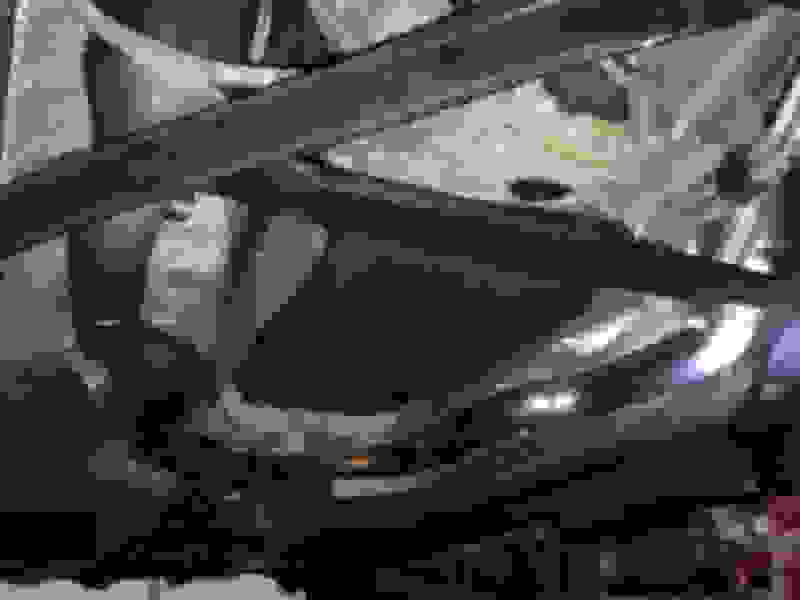 The gains also depend on the condition of the cats you are replacing, when my XJR had choked cats & we put the 100 cells on, it was like the car had picked up 50hp or so. In reality it only really came back to just above it's original power levels, but the immediate difference was like a slap in the face, the performance of the car had degraded slowly over time that it was not really noticeable. But when the power came back with the new cats it was a halleluia moment. Cambo brings up a very good point. Cats do tend to lose their efficiency with time. So those with a few more miles, may notice quite the benefit. They bolted up quite nicely. I'm going to finish up the welds so they are nice and pretty inside and out. During the Tig process we purge the inside of the tube properly so that they weld gets nice penetration and the finish on the interior side of the piping is smooth as well. Stock converters for XK and XKR both weigh in at 10lbs each, 20lbs total. I'll do some db reading before and after shortly for the 200 cell. 4.2 XK / XKR setups are finalized. There are some sound clips of a 2008 XKR with the 3" setup I build last winter with the same 200 cell converters on youtube. Last edited by FrickenJag; 12-19-2015 at 01:10 PM. 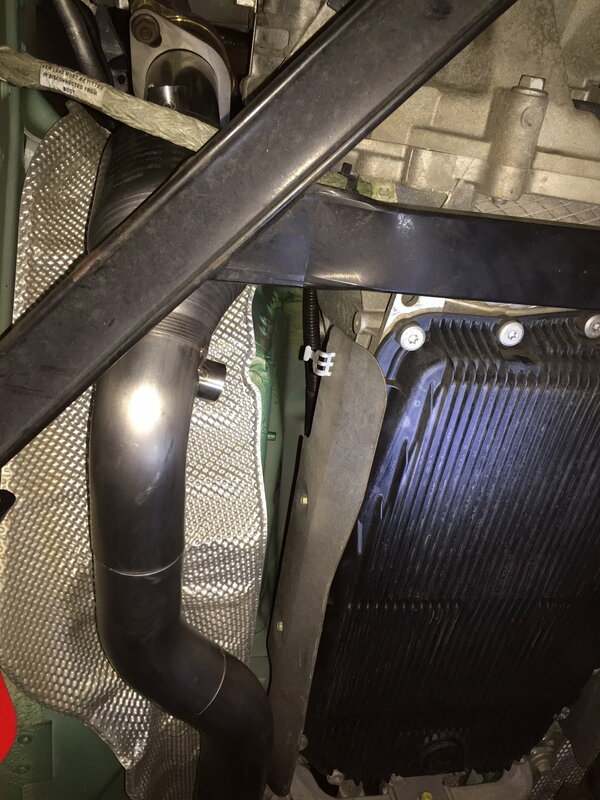 Do I see an H-Pipe in the exhaust, right after center section pipes come close together? Last edited by Cambo; 12-28-2015 at 02:13 AM. Yes sir. Something that is on Emerson's car currently. I'll be sure to get some sound and db readings shortly. Both before and after 200 cell install. I'll compare it to the x-pipe with 200 cell. 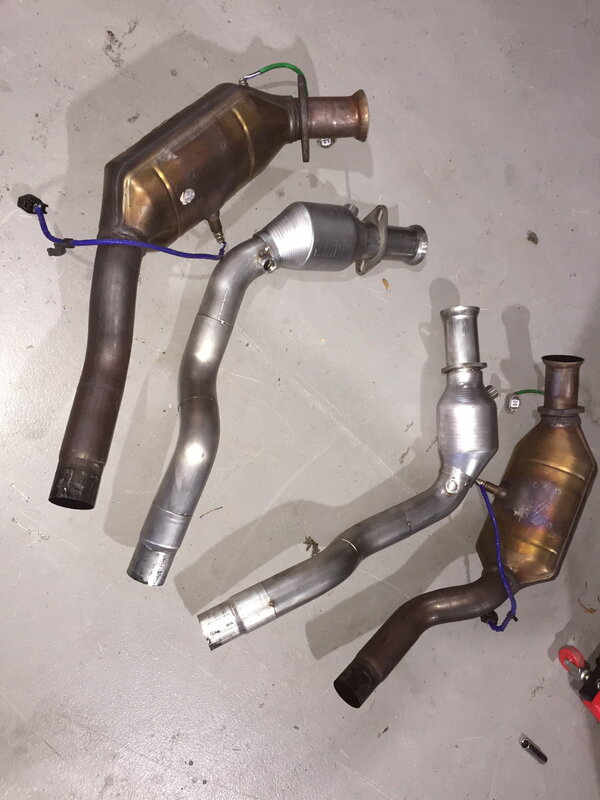 Both XK and XKR HighFlow Catalytic Converters are complete! Improve Performance & Sound of Your Jaguar XK and XKR. Get high-performance and sound for your Jaguar XK or XKR by replacing the restrictive 600 cell Catalyst for a 200 cell FrickenFast High-Flow Catalytic system. Not only will you get an instant increase in horsepower, torque and throttle response, but FrickenFast’s complete catalyst system will give your Jaguar a ferociously wild and deep performance tone. This system was specifically developed for the Jaguar owners looking for a deep muscle and exotic sound. FrickenFast Catalyst system bolts on right in place of your stock catalyst system with ease. These high-flow 200 Cell catalyst reduce back pressure substantially and increase flow rates allowing the engine to exhale more easily, which equates to more power. •	Pipes purged properly during the welding process for smooth surfaces internally. •	49 State & Canada Emission compliant. 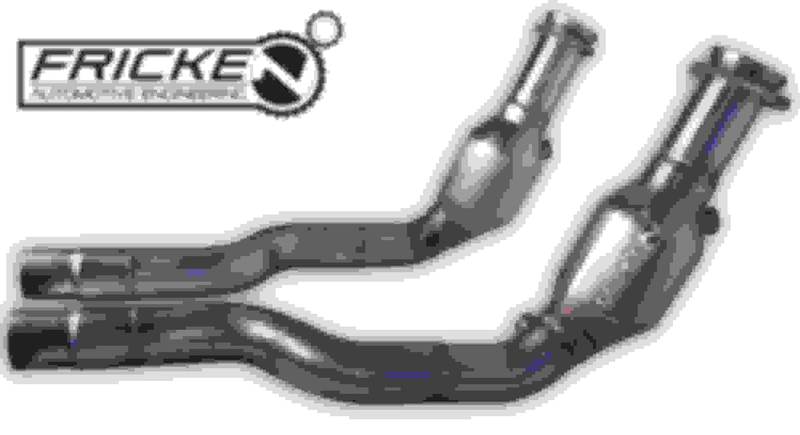 •	Direct factory replacement with no modification to mid-pipe. •	Unlike multi-piece cats with ceramic cores, this cat will never leak or crumble. Sounds clips and video will be taken tomorrow. Last edited by FrickenJag; 01-11-2016 at 11:05 PM. XK and XKR 2007-2009 guys. This is the first production unit I used to verify fitment and sound. They were mounted up and tested for 30 mins and taken back off. If you would like them ceramic coated I can get pricing for that as well. 2010-2015 Guys, I'm wrapping up the design for these units shortly. First test fit-up on these units will be with a XKR-S out of Atlanta. Very excited to hear the end result for this model.